Brassy Buddha Yoga Studio was founded on the belief that there's nothing more bold than living out your truth. "Yoga was a powerful vehicle for change in my life. I hadn’t realized despite the fact that I had the greatest of intentions that nothing would manifest into anything but a gesture until I allowed myself to heal. It was on my mat that I was able to let go and surrender in order to deal with life as I knew it. All of the “whys” had a purpose I wouldn’t allow myself to see because it hurt to look back. I realized in order to make peace with what was, I had to sit in it all over again in efforts to forgive myself and others. It was the greatest gift I ever gave to myself. Surrender. Forgiveness. Letting go. The gift I needed to give others the opportunity to experience. Each and every time we step to our mats we are given a brand new journey to experience with the end result being a little more clarity, knowledge, and self healing. It is my commitment to give each student space and guidance in hopes they allow themselves to connect to their purpose. I have 400 hours in teacher training, Reiki 1, and 40 hours of yin training, and I can not wait to embark on the next path this universe has to offer. My favorite food is pizza. My favorite colors are turquoise and purple. My favorite thing is to just be goofy. Least favorite thing in this world is negativity. My plan for the future is to create deep connections amongst those I encounter along my journey." Leigh is an Experienced Registered Yoga Teacher (E-RYT) and Yoga Alliance Continuing Education Provider (YACEP) with Yoga Alliance. Her yoga roots were first planted in Ashtanga. Her training continued to grow with Vinyasa and Slow Flow with specialties in Restorative, Yin, and yoga4cancer. She has trained with Johnny Kest Center for Yoga, and many wonderful teachers to whom she is grateful. For Leigh, every yoga practice is a new adventure. She is a life-long learner who is passionate about spreading the joy of yoga to all beings. You can find her on her mat, with her husband and three amazing children, teaching sixth grade language Arts or curled up with a good book on any given day. Where will you meet her? "Faye’s teaching style is what she calls “not your mama’s yoga!” She loves to laugh and chat as she flows and stretches with her students. She started practicing yoga in 2000 where she fell in love with it and tried many different types from beginner hatha to prenatal to power vinyasa flow. After teaching for 9 years in the NYC public schools and for 5 as a professor at NYU, Faye stayed home to raise her two children, and then graduated with her 200 RYT certification in 2017. Faye loves a strong power flow, guided mediations, and teaching yoga to people of all ages. Her energy is contagious and her classes are dynamic, as she firmly believes every class should be mindful and fun!" "Eve Adelson is a certified 200-hour Vinyasa teacher. She has completed Level 1 & The Art of Assisting with The Baptiste Institute. Eve’s yoga journey began in 2013 when she discovered the amazing benefits of the physical Asana practice. She then began to experience the benefits of how yoga connects the mind & body. Eve received her 200-hour certification with Powerflow. She shares her passion for Power Vinyasa in her classes, challenging her students while moving thru a fun & balanced sequence." "Jody Heavey is a 200 Hr RYT with continued education in Yin Yoga and Level III Reiki Practitioner. She's has been in the teaching field for over 10 years, while having her fair share of office life. In that time has fallen witness to numerous high stress situations. Since welcoming yoga into her daily life, Jody has been filling her cup with the many tools for leading a balanced life. She is sure to focus on the breathe in every class and is honored to share these tools with others. 🕉"
Tonya’s relationship with yoga began almost 20 years ago. Being a former gymnast and at the time training to be a body builder, along with a career that required standing for 10 hours a day, she was hoping yoga would foster flexibility. To her surprise she discovered yoga to be so much more. Instantly intrigued by its strength, fluidity and restorative abilities, both mentally and physically, she was hooked from the first downward dog. Throughout the years Tonya’s yoga practice has evolved to be one of the most important aspects of her life. Due to a back injury, yoga was the only movement available for her recovery and what was already a strong bond became a life line. "Genna is a passionate teacher of vinyasa and yoga for athletes. As a coach and educator, she integrates these facets of her life experience into her yoga teacher philosophy and class structure. At the age of 10, Genna began her practice and has piqued her interest in continuing her education in the world of yoga. Genna is also USATF Level 2 Coach, Reiki Level 2 Certified and a trained Birth Doula. Genna’s philosophy is anchored in dedication to student strength building mentally and physically through the rooting and growth in their flourish practice of yoga.Understanding the purpose in the process of all things truly allows the journey to be much sweeter. " "As the granddaughter of a Hawaiian shaman from Hana Hawaii and a 41st generation Hawaiian of Samoan, Tonga, and Maori descent, Naomi evolved into a seeker of knowledge, cultivating divine moments of truth and pure love. She searches for meaning, symbols, and secrets hidden from worldly eyes in the natural world. This led her to become an Usui Komyo Reiki Kai Master and a third degree black belt Martial Artist in Tae Kwon Do and Hun Gar Kung Fu. Under the guidance of her skillful teachers and the lens of her own curiosity, her practice continues to evolve. Not only is she a Registered Nurse, but also a certified Clinical Nutritionist and Massage Body Worker focusing on sacral cranial work, myofascial release, reflexology and has an extensive rehabilitation background in neurology, kinesiology and orthopedics. Always excited and inspired to learn more, she recently completed her 200-hour Vinyasa flow. Iyengar and Baptist inspired teacher training from Hot Yoga Revolution, under Danille Mojo and Toni Reino. She went on to completed her level I and II Yin Yoga Yoga teacher training, under Corina Benner of Wake Up Yoga at the Integrated Yoga Institute in NY, and continued with Paul Grilley, Bernie Clark and Sarah Powers. Naomi is a YACEP and E-RYT 200 under Yoga Alliance." Kayla, a former dancer of 22 years, was first introduced to yoga in college where she was intensely studying dance. At that point in her life yoga was nothing more than a less intense version of dance. Fast forward a few years, Kayla uprooted her life in New Orleans to live with her fiancé in New Jersey. Moving away from her personal friends and family while also struggling with her battle against depression and anxiety, Kayla had been left feeling lost and unsure of which path she should take next in life. That’s when the gift of yoga came back into her life. After attending one class as a suggestion from her mother-in-law, she couldn’t stay away from the studio. The yoga community welcomed her with open arms and she knew immediately that the practice would carve out her next path. 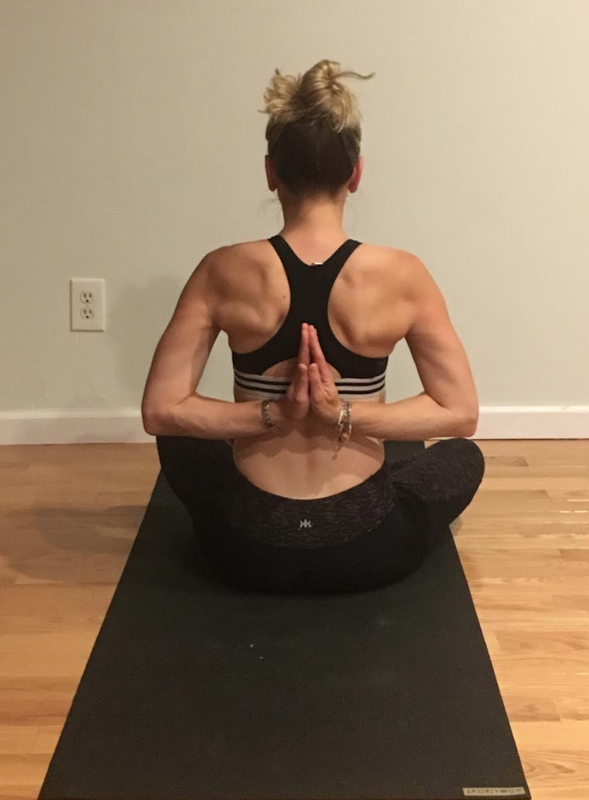 In June of 2018, Kayla completed her 200 hour certification for vinyasa with a specialty in Ashtanga at Life Time Academy. Yoga has given her an outlet to express herself through movement and breath. It has given her the tools necessary to work on herself every day without judgement and the patience required to take this life one step at a time. When she isn’t on her mat, you can probably find her traveling through Europe and dancing the night away at a music festival. "From a young age, Lauren knew she was different. As a an empath with a keen intuition, she felt too much. In her early 20s, she was diagnosed with anxiety and depression. After a few years of prescribed and self-medication, she decided to change her story. By looking into a holistic approach, she found the beauty of meditation. Through meditation, she was able to learn more about herself and how to harness the true power which resides in being an empath. Lauren has always had a passion for athletics and fitness. It wasn't until her sister, Kim, brought her to her first yoga class, that she realized was able to combine the power of breath, mindfulness and movement into one solidified practice. At that moment, she realized her calling. She completed her 200 Hour RYT training with a focus in Baptiste lineage at Hot Yoga Revolution in April 2018. Two weeks later, she completed her 30 Hour RYT Yin training with Naomi Pagan Fox. Lauren's love for yoga and meditation is present throughout all aspects of her life. When she is not teaching or practicing, you can find her reading about spirituality/metaphysics, spending time with loved ones, enjoying nature or stealing kisses from her pug, Louis." Stephanie has always been an extremely active, passionate and expressive person. She was first introduced to yoga at the tender age of 18 when a trusted teacher recommended it to help keep her active and mindful while healing her various dance injuries. After one class she was hooked! Stephanie completed her 200 hour yoga teacher training in early 2014 at Bhakti Barn Yoga. Through her training she gained a stronger relationship with herself while also acquiring the skills and education to become an informed and invested yoga teacher. 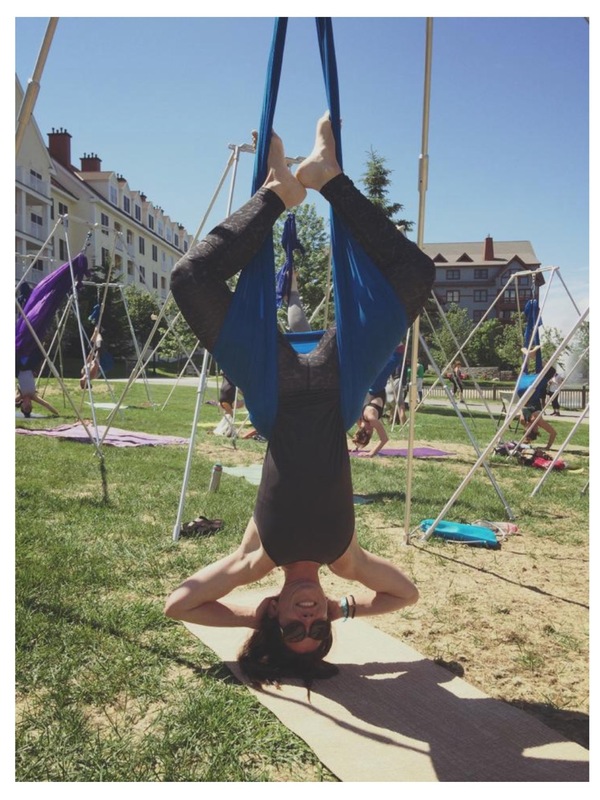 She has also completed various additional trainings including Aerial certification from OM factory NYC and Kids yoga modules from grounded Kids yoga. She is constantly striving to hone not only her own personal practice but also her skills as an educator/communicator while honoring Yoga historic roots. She thoroughly believes in the healing and strengthening powers yoga can provide and she is thrilled to be able to share her love of this practice with the Brassy Buddha community! She is eternally grateful to her amazing teachers, students and friends for all the wisdom and love they have generously bestowed upon her.